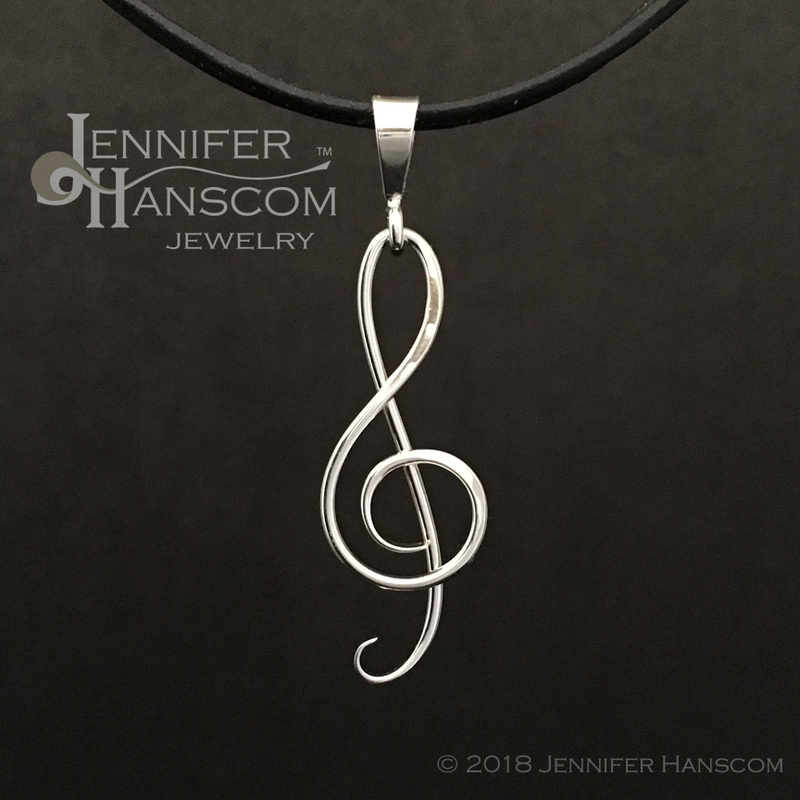 Tune in to your love of music each time you wear this delicate treble clef pendant (or G Clef pendant if you prefer). 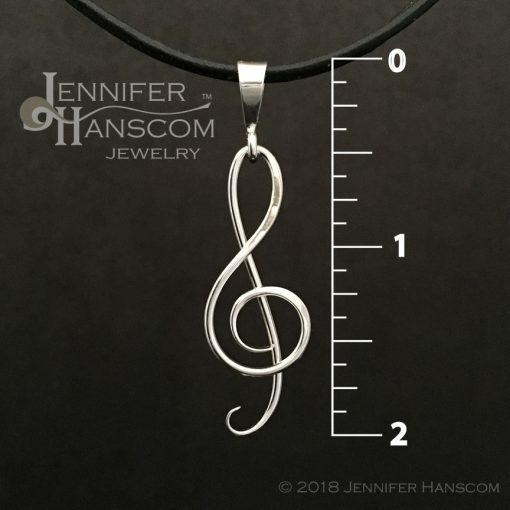 The small scale makes it appropriate for a shy music lover. 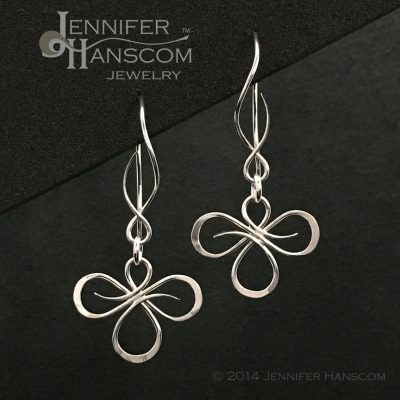 Yet it is also perfect for a conservative corporate office. It’s a symbol that evokes your passion for music, even in a setting that doesn’t allow for your listening pleasure. 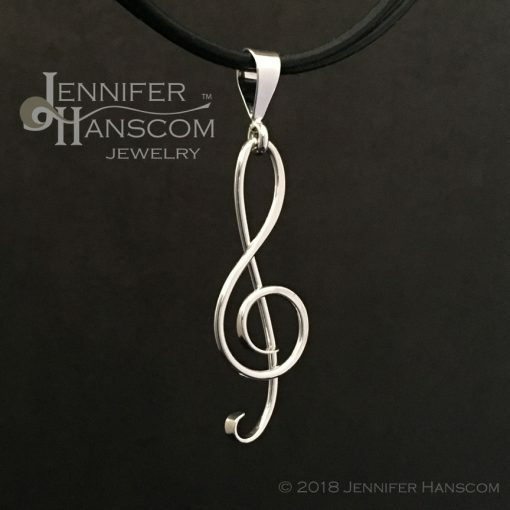 Let the feel of it hanging from your neck remind you of the emotions that resonate with your favorite songs. 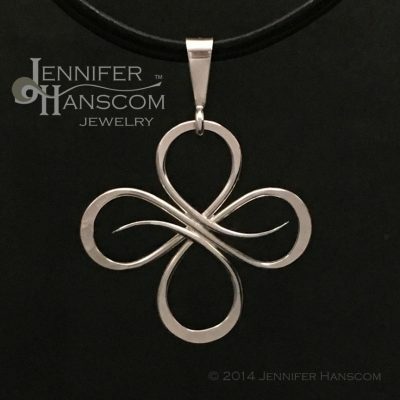 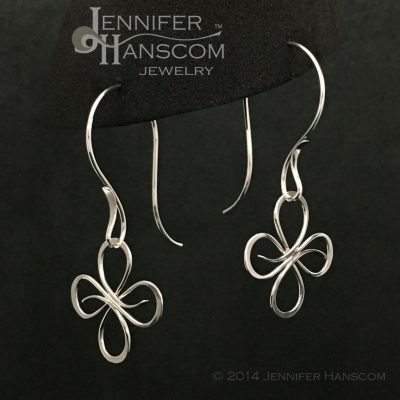 Each pendant is hand-formed and forged of sterling silver wire. 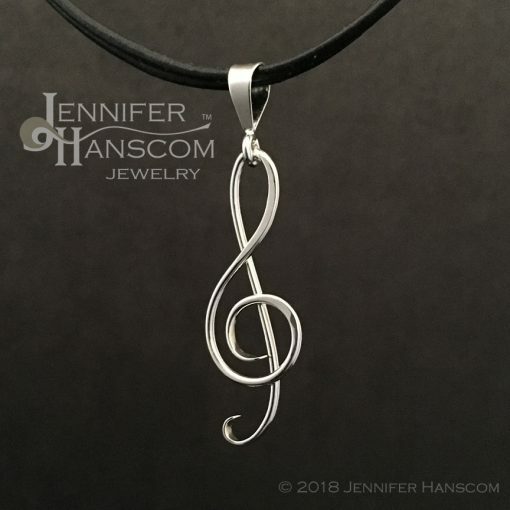 This forming mimics the thick and thin lines of the treble clef as depicted on the musical staff. 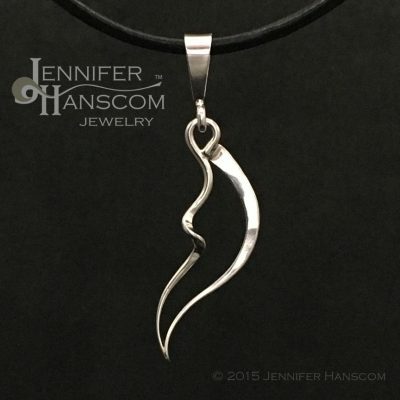 The opening on the bail is approximately 7/32″ in diameter. 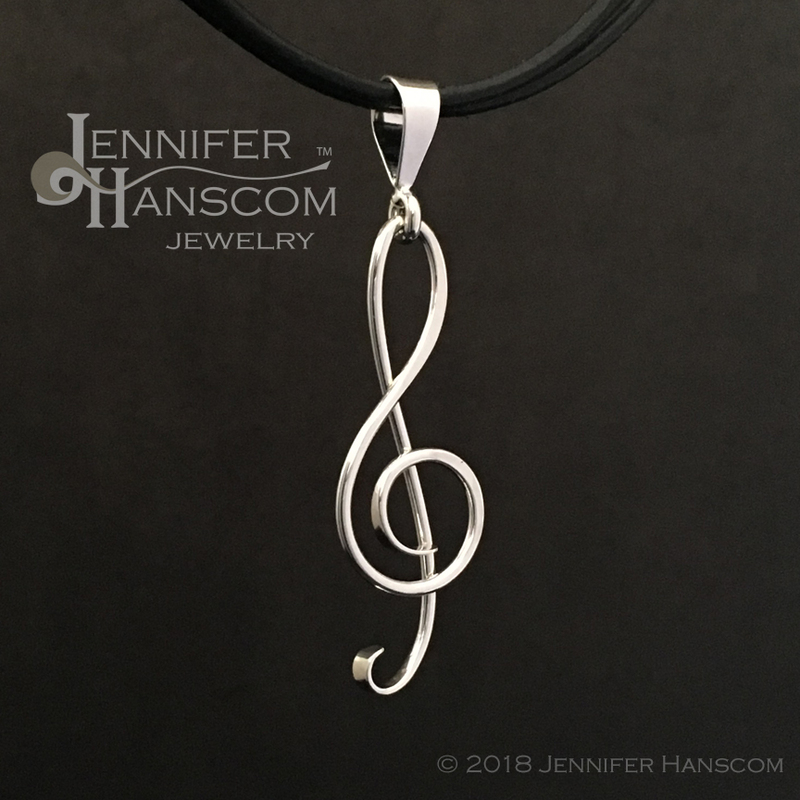 So, it fits on many standard silver chains as well as our double strand leather necklaces.